At the 'Catholic' Media Conference in Denver the keynote speaker, a prestigious seminary rector, admits the Vatican II 'experiment' was a "pastoral disaster". Duh! Well, of course it was and continues to be, but evidently as Traditio rightly asks, then why would he and the rest of the sheeple remain in the false church? That's the great puzzling question that these clueless clowns posing as priests and bishops can't seem to answer...or won't. There's more to their dismal failure than meets the eye in Dumbed Down, Duped and Discouraged over V2's Pastoral Disaster. Duh!!! This is the eleventh of seventy-seven Graces derived from participation at the Holy Sacrifice of the Mass - the Mass of All Ages - the Latin Mass of the Roman Rite which was decreed to be said "in perpetuity" by Pope Saint Pius V in codifying the infallible decrees of the dogmatic Council of Trent. These graces are taken from Father Martin von Cochem's Explanation of the Holy Sacrifice of the Mass with an imprimatur. The eleventh reason is that for our salvation Jesus sprinkles our souls with His Most Precious Blood and purifies our souls from every stain. This is the eleventh of 62 reasons which were submitted by the Priests of Campos and endorsed by the late great Bishop Castro de Mayer. Reason number eleven: Because the New Mass does not manifest Faith in the Real Presence of our Lord -- the Traditional Mass manifests it unmistakably. This has only grown more stark and different over the years despite the attempt by Benedict-Ratzinger to mask it with the Motu Mess of July 7, 2007 that has proven totally fruitless and with Mr. Bergoglio the unFrancis visibly against any semblance of tradition, it too will soon be gone. Holy Mary, * pray for us. Lamb of God, Who takest away the sins of the world,spare us, O Lord. Lamb of God, Who takest away the sins of the world,have mercy on us. R. That we may be worthy of the promises of Christ. Grant unto us, Thy servants, we beseech Thee, O Lord God, at all times to enjoy health of soul and body; and by the glorious intercession of Blessed Mary, ever virgin, when freed from the sorrows of this present life, to enter into that joy which hath no end. Through Christ our Lord. Amen. This is the ninth of seventy-seven Graces derived from participation at the Holy Sacrifice of the Mass - the Mass of All Ages - the Latin Mass of the Roman Rite which was decreed to be said "in perpetuity" by Pope Saint Pius V in codifying the infallible decrees of the dogmatic Council of Trent. These graces are taken from Father Martin von Cochem's Explanation of the Holy Sacrifice of the Mass with an imprimatur. The ninth reason is that for our salvation Jesus mystically renews His death, and sacrifices His precious life in an unbloody manner for us to show how much He loves us. This is the ninth of 62 reasons which were submitted by the Priests of Campos and endorsed by the late great Bishop Castro de Mayer. Reason number nine: Because in less than seven years after the introduction of the New Mass, priests in the world decreased from 413,438 to 243,307 -- almost 50%! (Holy See Statistics). Now look at today and the numbers are dwindling. What's even worse is the number of true priests today are a mere handful compared to the cornucopia of vocations there were prior to Vatican II. But Paul the Sick's intention was to change the priesthood, devoid of sacramental grace. This is the eighth of seventy-seven Graces derived from participation at the Holy Sacrifice of the Mass - the Mass of All Ages - the Latin Mass of the Roman Rite which was decreed to be said "in perpetuity" by Pope Saint Pius V in codifying the infallible decrees of the dogmatic Council of Trent. These graces are taken from Father Martin von Cochem's Explanation of the Holy Sacrifice of the Mass with an imprimatur. The eighth reason is that for thy salvation Jesus Christ renews His bitter Passion in order that we may participate in it. This is the eighth of 62 reasons which were submitted by the Priests of Campos and endorsed by the late great Bishop Castro de Mayer. Reason number eight: Because "amongst the best of the clergy the practical result (of Paul VI's "abomination of desolation", i.e. the new 'mass') is an agonizing crisis of conscience..." as Alfredo Cardinal Ottaviani and Antonio CardinalBacci wrote in The Ottaviani Intervention in protesting the deadly path Paul the Sick had taken in his ransacking the Holy Sacrifice of the Mass. This is the seventh of seventy-seven Graces derived from participation at the Holy Sacrifice of the Mass - the Mass of All Ages - the Latin Mass of the Roman Rite which was decreed to be said "in perpetuity" by Pope Saint Pius V in codifying the infallible decrees of the dogmatic Council of Trent. These graces are taken from Father Martin von Cochem's Explanation of the Holy Sacrifice of the Mass with an imprimatur. The seventh reason is that for thy salvation Christ performs - through the alter Christus - on the altar the same act of worship He performed when on earth. This is the seventh of 62 reasons which were submitted by the Priests of Campos and endorsed by the late great Bishop Castro de Mayer. Reason number seven: Because in times of confusion such as now, we are guided by the words of Our Lord: "By their fruits you shall know them." Fruits of the New Mass are: 30% decrease in Sunday Mass attendance in U.S. (NY Times 5/24/75), 43% decrease in France (Cardinal Marty), 50% decrease in Holland (NY Times 1/5/76). Note this was just 10-11 years after Vatican II. Consider how bad it is today 50 years later! Mon dieu, que diable! This is the sixfth of seventy-seven Graces derived from participation at the Holy Sacrifice of the Mass - the Mass of All Ages - the Latin Mass of the Roman Rite which was decreed to be said "in perpetuity" by Pope Saint Pius V in codifying the infallible decrees of the dogmatic Council of Trent. These graces are taken from Father Martin von Cochem's Explanation of the Holy Sacrifice of the Mass with an imprimatur. 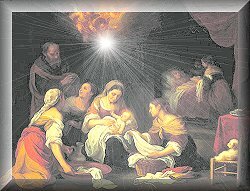 The sixth reason is that for thy salvation Jesus is born anew into the world in a mystical manner whenever Holy Mass is celebrated. This is the sixth of 62 reasons which were submitted by the Priests of Campos and endorsed by the late great Bishop Castro de Mayer. Reason number six: Because "Recent reforms have amply demonstrated that fresh changes in the liturgy could lead to nothing but complete bewilderment in the faithful who already show signs of uneasiness and lessening of Faith " as Alfredo Cardinal Ottaviani and Antonio CardinalBacci wrote in The Ottaviani Intervention in protesting Paul VI's abominable changes to the Holy Sacrifice of the Mass. 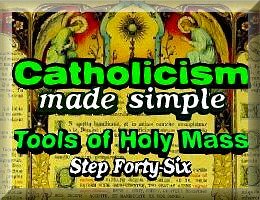 This is the fifth of seventy-seven Graces derived from participation at the Holy Sacrifice of the Mass - the Mass of All Ages - the Latin Mass of the Roman Rite which was decreed to be said "in perpetuity" by Pope Saint Pius V in codifying the infallible decrees of the dogmatic Council of Trent. These graces are taken from Father Martin von Cochem's Explanation of the Holy Sacrifice of the Mass with an imprimatur. 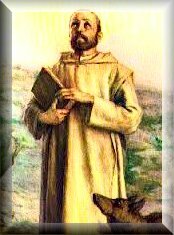 The fifth reason for graces received from assisting at the true Canonical Apostolic Traditional Latin Mass is for thy salvation God renews the saving mystery of the Incarnation. This is the fifth of 62 reasons which were submitted by the Priests of Campos and endorsed by the late great Bishop Castro de Mayer. Reason number five: Because the difference between the two is not simply one of mere detail or just modification of ceremony, but "all that is of perennial value finds only a minor place (in the New Mass), if it subsists at all," which it cannot possibly be as Alfredo Cardinal Ottaviani and Antonio CardinalBacci wrote in The Ottaviani Intervention in protesting Paul VI's abominable changes to the Holy Sacrifice of the Mass. This is the fourth of seventy-seven Graces derived from participation at the Holy Sacrifice of the Mass - the Mass of All Ages - the Latin Mass of the Roman Rite which was decreed to be said "in perpetuity" by Pope Saint Pius V in codifying the infallible decrees of the dogmatic Council of Trent. These graces are taken from Father Martin von Cochem's Explanation of the Holy Sacrifice of the Mass with an imprimatur. The fourth reason for graces received is that the Holy Sacrifice of the Mass is the ultimate sacrifice on Calvary, re-enacted in an unbloody mannerFor thy sake the Son of God comes down from Heaven and conceals Himself under the form of the Sacred Host. This is the fourth of 62 reasons which were submitted by the Priests of Campos and endorsed by the late great Bishop Castro de Mayer. Reason number four: Because the New Mass represents "a striking departure from the Catholic theology of the Mass as formulated in Session XXII of the Council of Trent" which, in fixing the "canons," provided an "insurmountable barrier to any heresy against the integrity of the Mystery" as Alfredo Cardinal Ottaviani and Antonio CardinalBacci wrote in The Ottaviani Intervention in protesting Paul VI's abominable changes to the Holy Sacrifice of the Mass. Want more obvious evidence of apostasy? See what ol Gerhard Ludwig Muller of CDF (Congregation for Destroying the Faith) said a few days ago as reported by Vatican Insider: The war between the Liberation Theology movement and Rome is over ...Really?!!! Of course, the wolf is guarding the henhouse! Are you so bad you're even denied the Novus Ordo cookie? No problem, just have someone else go up twice. That's how bad the CONciLIAR confusion has become as NovusOrdoWatch files their latest News Digest with a horde of links that prove only too clearly satan's role in eclipsing the true Church, beginning with That's what 'Communion' in the Hand does for you to Ratzinger's Cronyism rewards an Anglican for Theology! Yes, Mr. Bergoglio the unFrancis went off the rails long ago. NovusOrdoWatch disects John Vennari's latest epiphany in finally admitting such, but then that's the inevitable for those who think a pope can teach error or that he's even a priest, let alone bishop or pope. If only the editor of Catholic Family News and the rest of the "semi-traditionalist" recognize-and-resist clan would be honest enough to connect the dots to see not only that the chair is empty, but the truth that Bergoglio is a Theological "Train Wreck"
The slippery slope just got slipplier as Mr. Bergoglio the unFrancis dances around "'Gay' Marriage" in trying to cater to the Anglican layman of Canterbury Justin Welby by not condemning such perversity, but leaves the door open for compromising sin. What? Never in the history of the Church, even during the time prior to the Protestant revolution has anyone catered to the devil more than ol' Jorge...well, maybe Paul the Sick. As Traditio points out, "Bergoglio does not base his morals on the commandments of God" as you can see at Not the Law of God, but the Law of "Anthropology"
When you're about to breathe your last breath, there is a practical question that is posed by NovusOrdoWatch that can determine your everlasting life. Some might pooh-pah such a possibility but we can assure you it is not only possible but definitive. You will die. Therefore don't you want to be ready? You owe it to your immortal soul to read this and the links included and think well on it in When Death Comes For You, How Will You Choose? As much as we hate to beg, we have no choice. We're back to at least doing weekly editions but donations have been way down and do not afford us the luxury of returning to daily publishing, which is ashame since it is called the DAILY Catholic. If you have benefited in anyway from what we have published, we humbly ask your help to keep this publication on line. We know that so many of our readers are unable to assist at a true traditional Latin Mass because of where they live and use the daily liturgy we publish to gain the efficacious graces possible through their prayers at home. We remain the only publication in the world to provide such and are grateful to God that we can provide such nourishment for souls. If you have not donated before, isn't it only right and proper to donate now? Whatever you can afford will be greatly appreciated. Just click the button below or send a check/money order to the address below. We are a bonafide non-profit 501c(3) religious association and all donations are tax-deductible. Whatever you would have contributed toward a bloated political campaigns or thrown away in the conciliar collection plates that only goes to covering up the sins of its presbyters and false primates while destroying all semblence of Catholicism, why not earmark it for SANCTUS/DailyCatholic? After all, shouldn't we all take St. Paul's strong counsel in 2 Thessalonians 2: 14 to heart and "stand firm, and hold the traditions which you have learned"? We at the Daily Catholic believe that copyrighting material is counterproductive to the purpose of saving souls and, therefore, in order to expand our reach so that we may decrease while Christ increases, we freely give permission to all to copy and disseminate any written material contained on these pages from 2004 onward, provided nothing is taken out of context and the URL and sources are credited for the sake of accuracy and for the sake of restoring all things in Christ. So as not to confuse or deceive the faithful in any way, nothing before 2004 may be used without written permission from the editor. For pertinent questions on this, use the "contact us" button below.